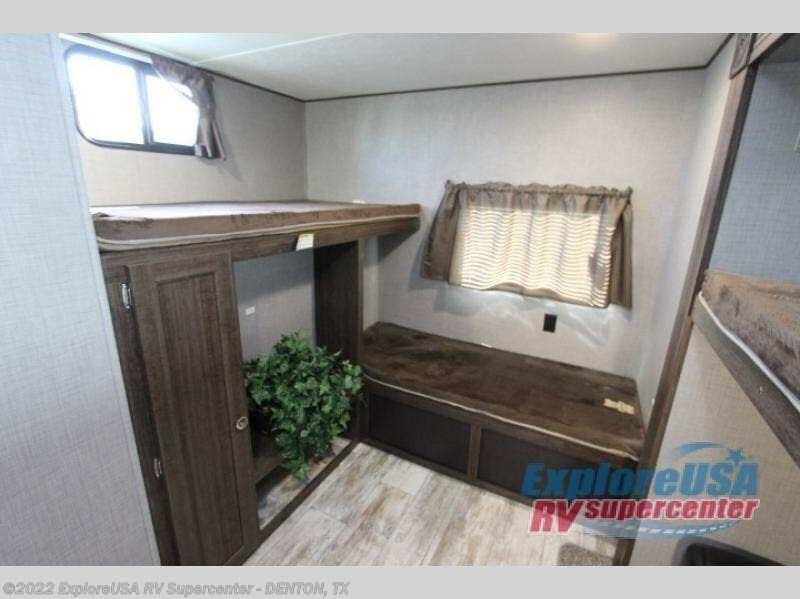 This is the ideal family travel trailer - with a rear bunk house, plus two entry doors you will find that there is plenty of room for your family plus a few friends in this Longhorn 328SB. 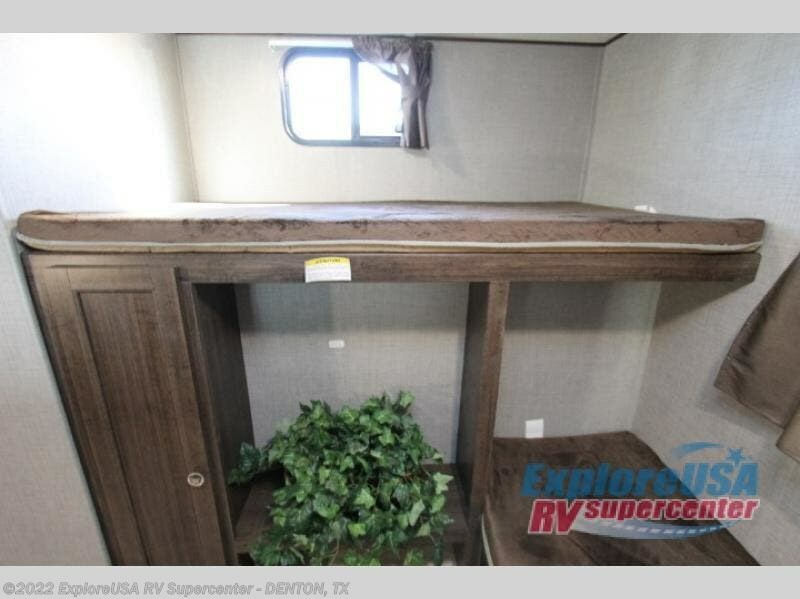 Your kids can have their own space in the rear bunkhouse. 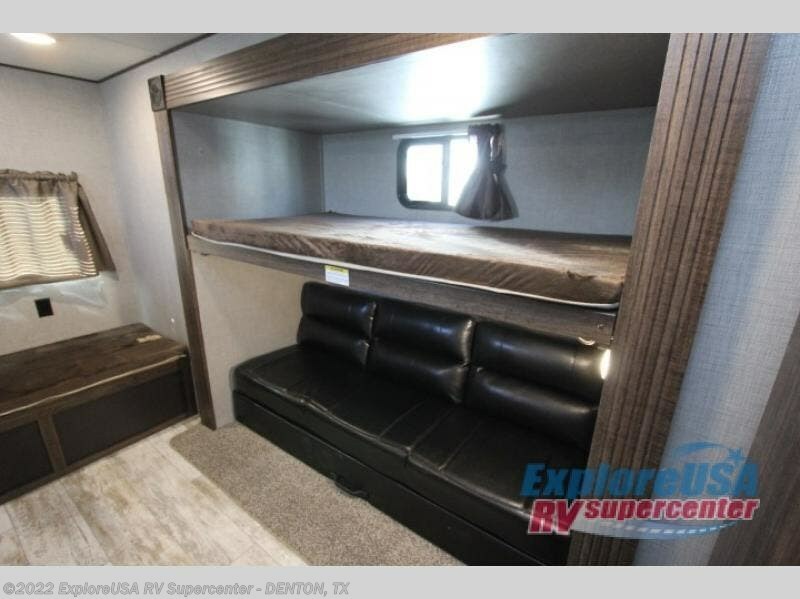 Here there are several bunks plus a 76" jack-knife sofa. 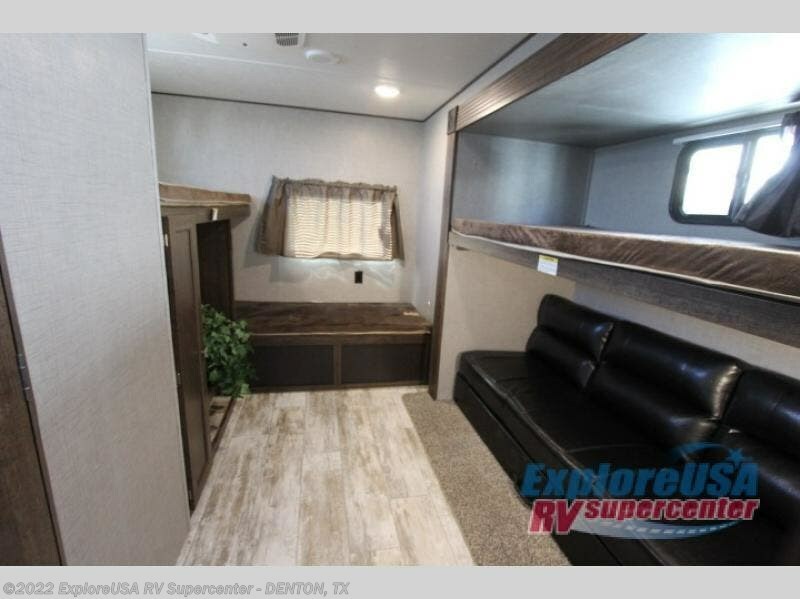 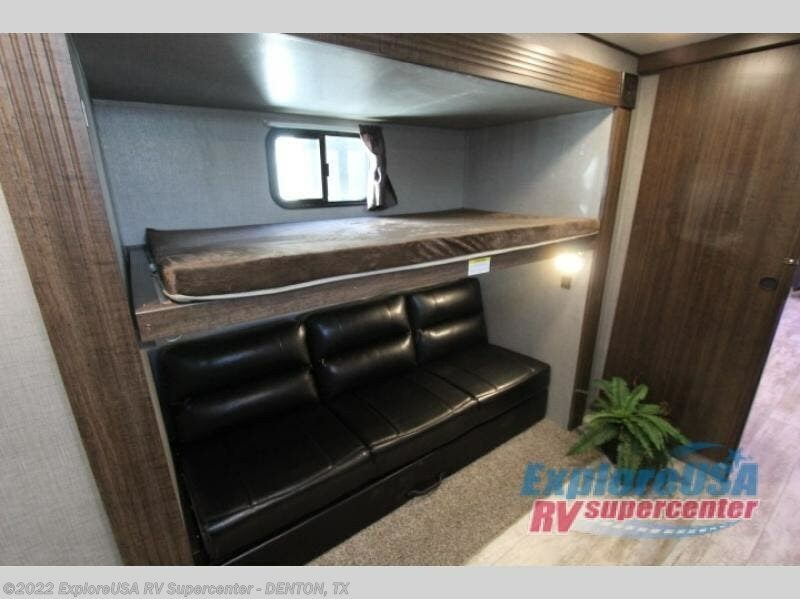 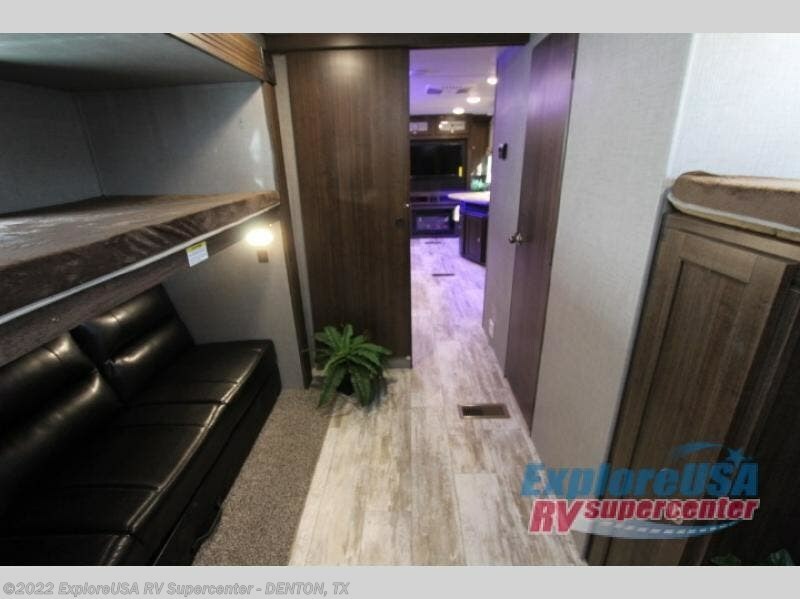 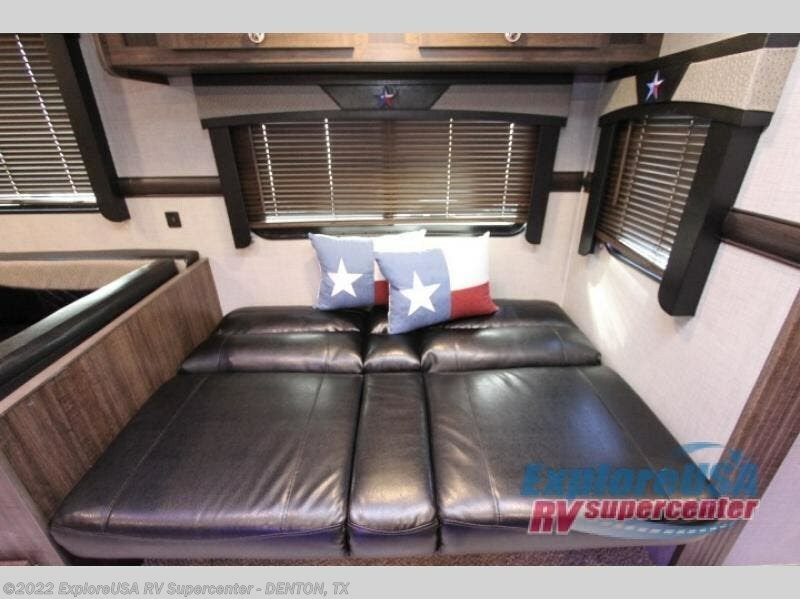 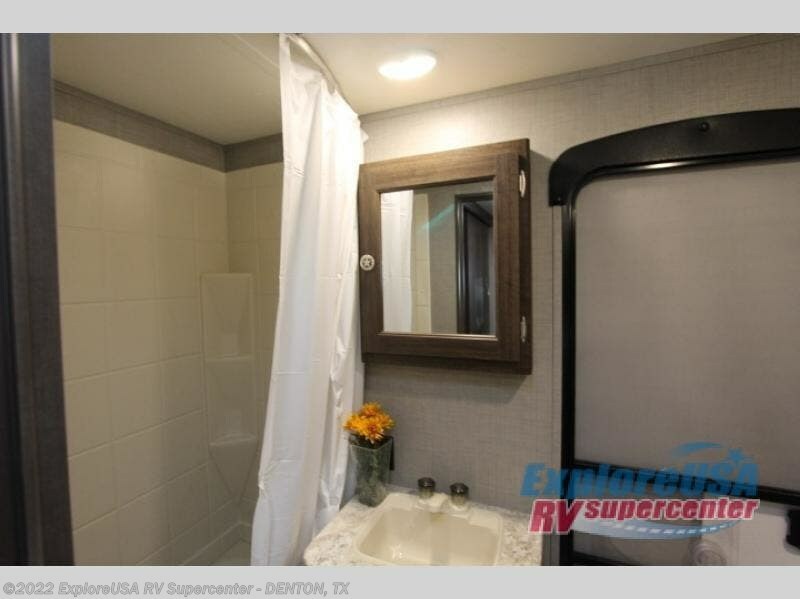 More sleeping space can be found at the u-dinette and the sofa, plus mom and dad will enjoy the front bedroom which has a queen bed and sliding doors on either side of the entertainment center which creates the privacy you want. 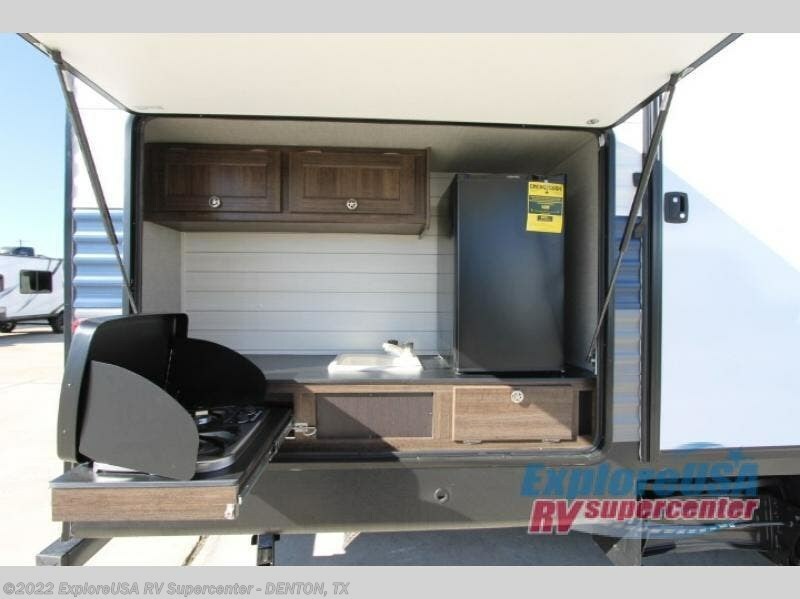 Meal prep can be done either inside or outside at the exterior kitchen. 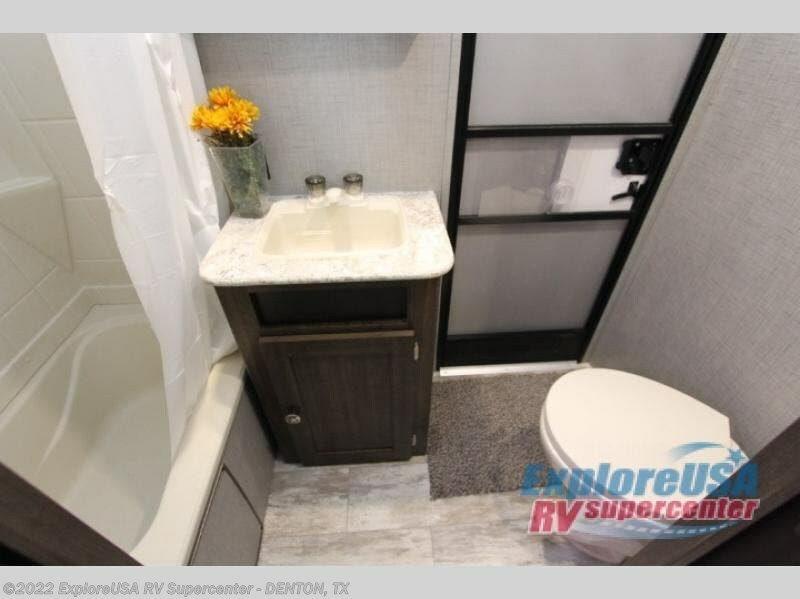 You will be turning heads when you enter the campground with any Longhorn travel trailer model in tow! 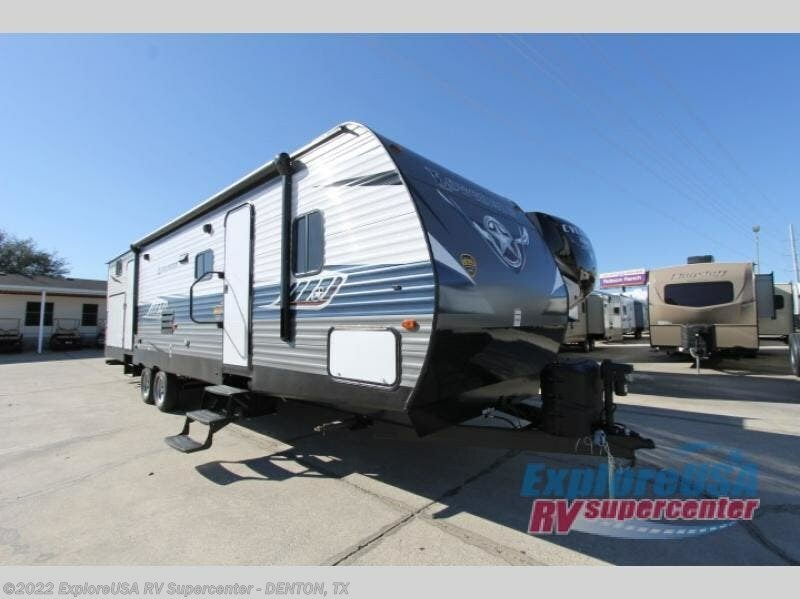 These units feature an aerodynamic front end for ease of towing, plus a fully enclosed and forced air heated underbelly meaning you can camp in any type of weather. 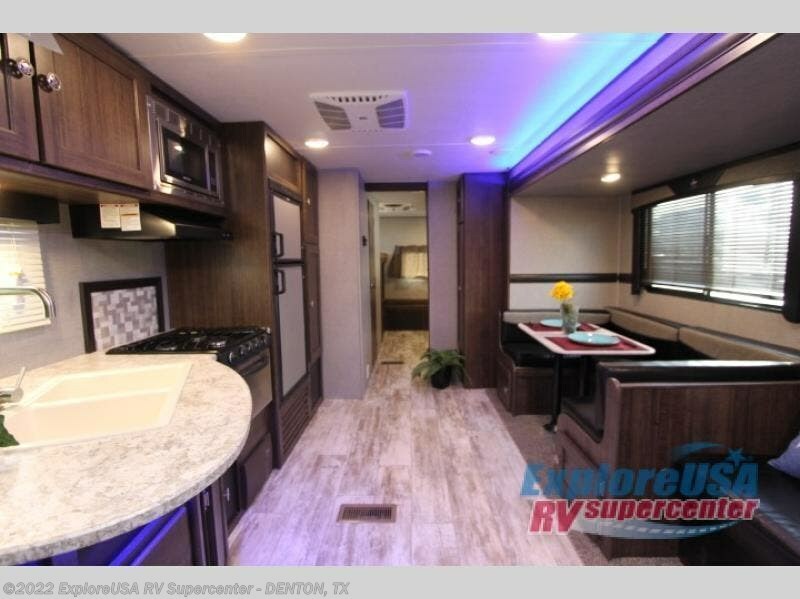 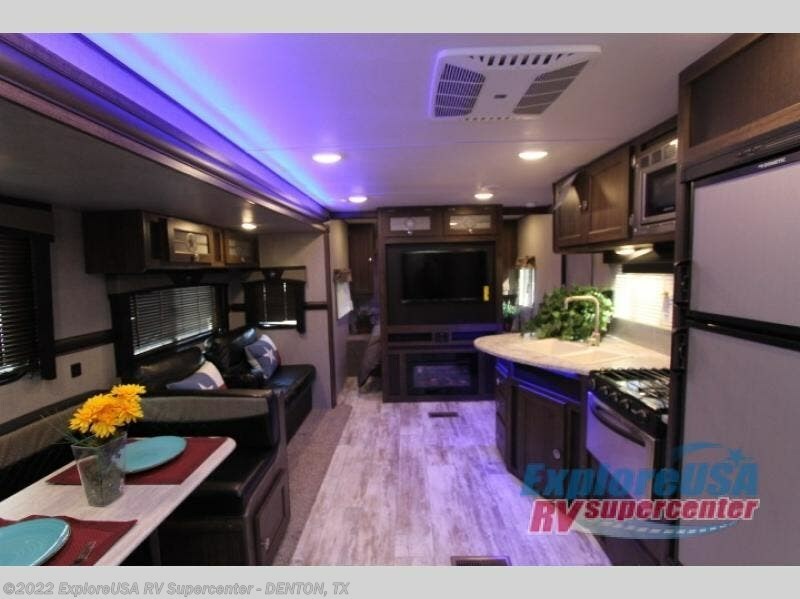 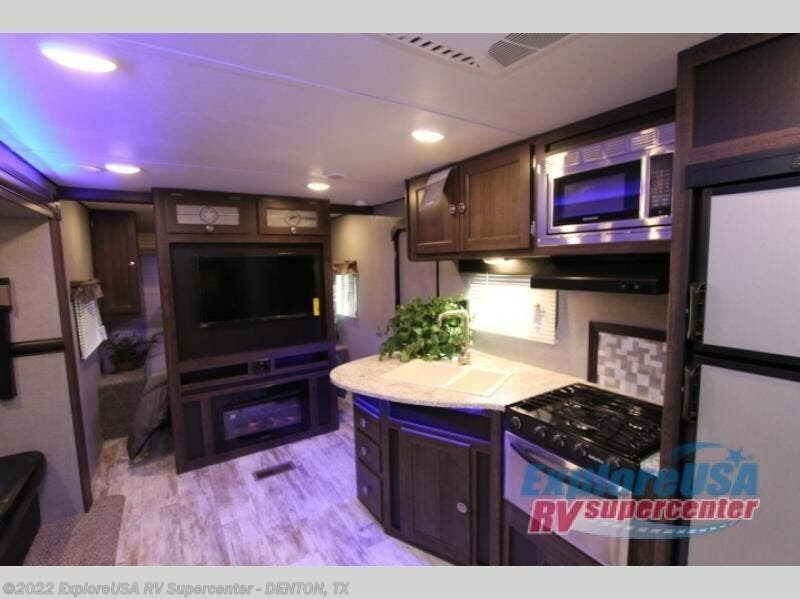 On the inside, you will enjoy Cherry Shaker style cabinet doors and drawers, LED lighting throughout with accent lighting in the slide outs, as well as easy to care for woodgrain linoleum. 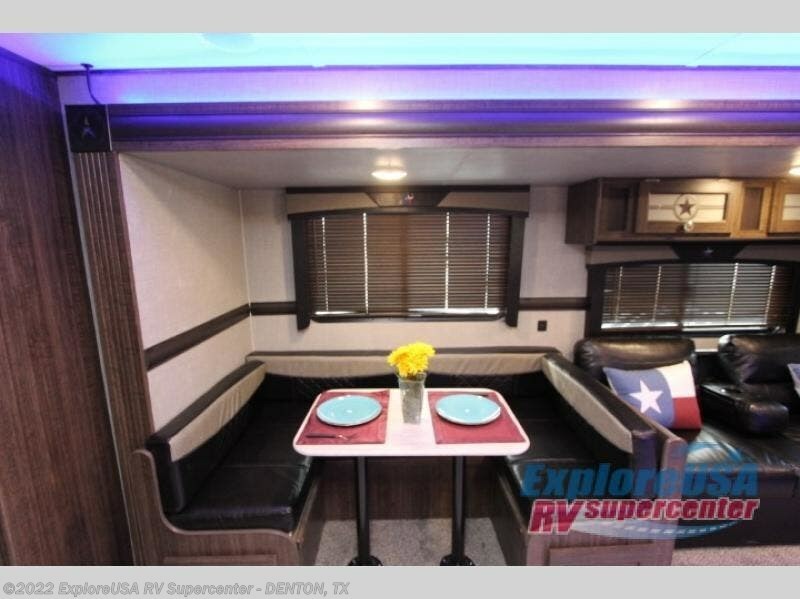 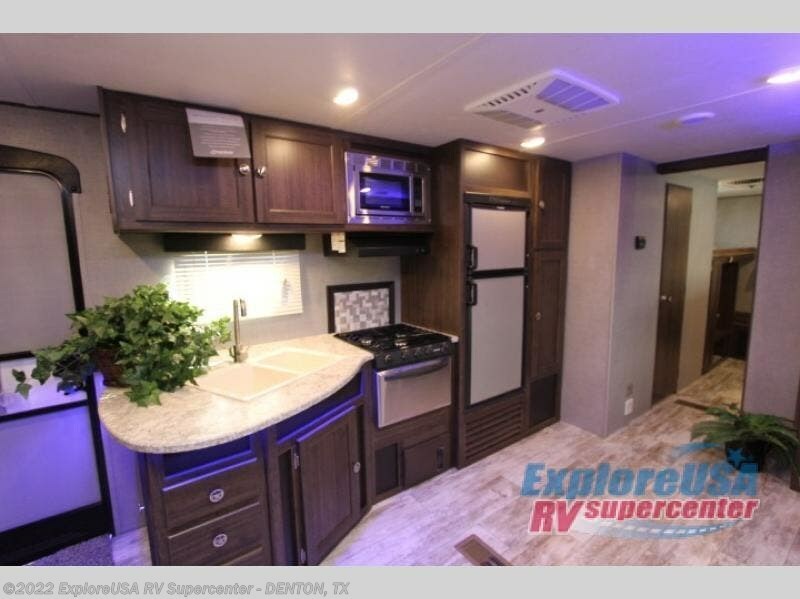 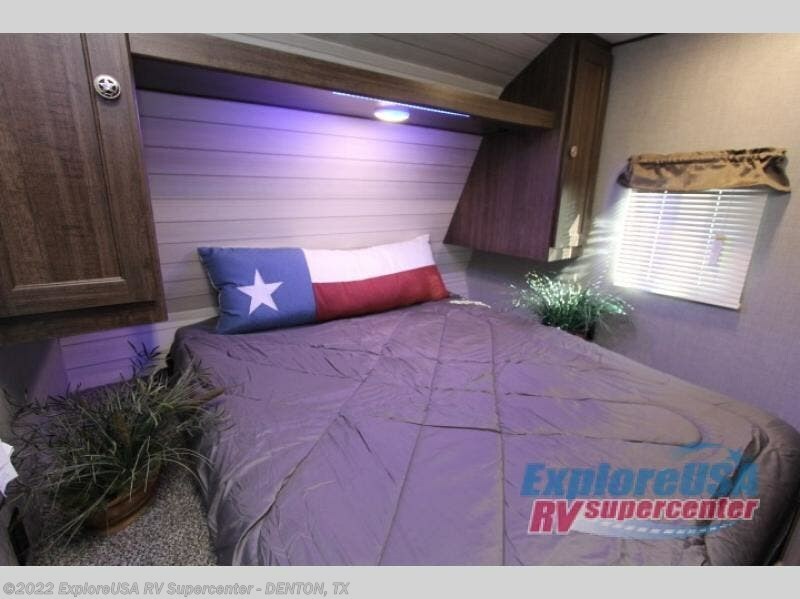 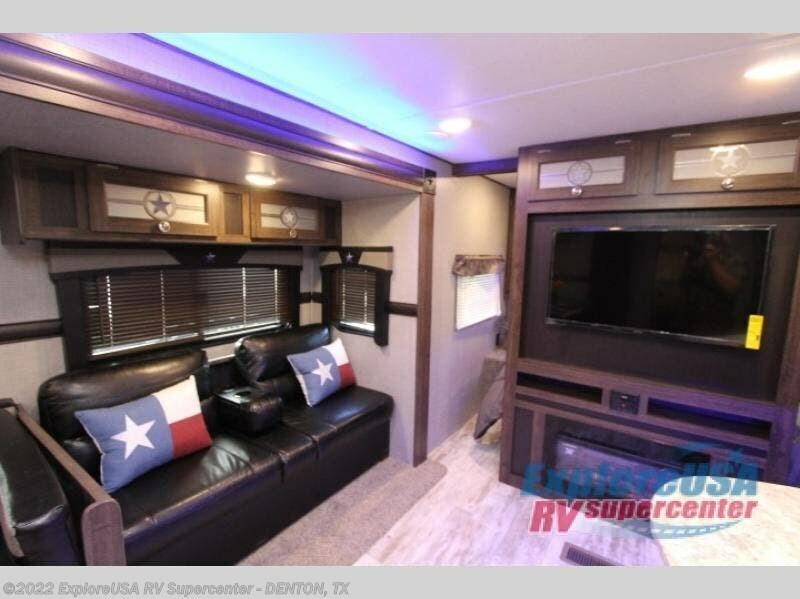 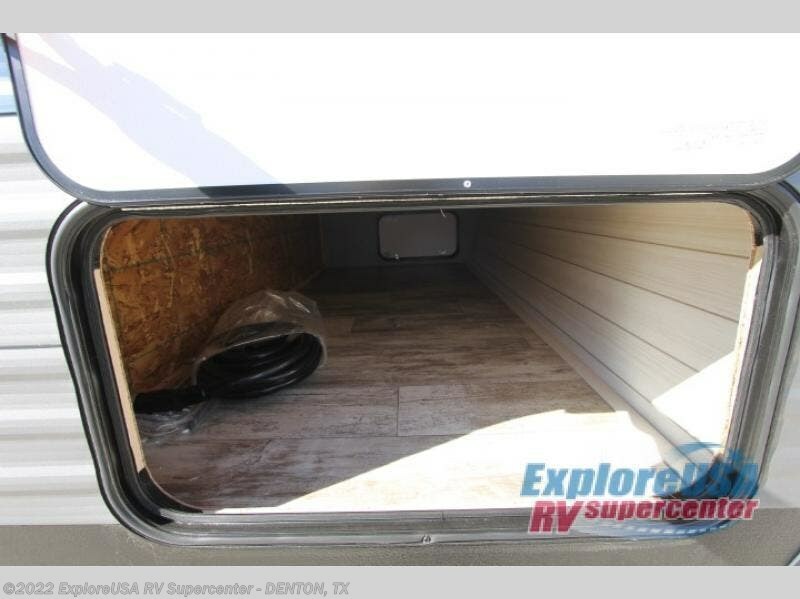 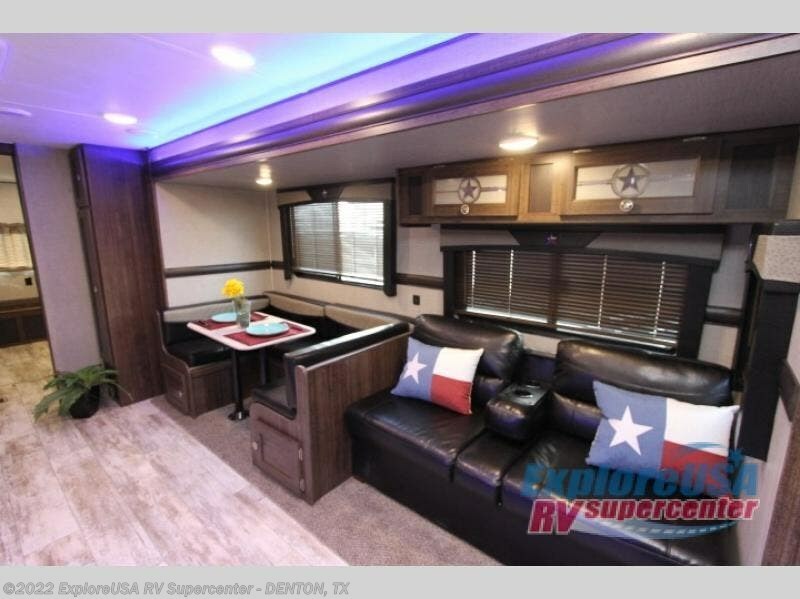 The Longhorn trailers also come with a standard Convenience Package that includes a 13,500 BTU A/C for your comfort and smoke/LP detectors along with four stabilizer jacks for your safety and peace of mind, plus so much more! 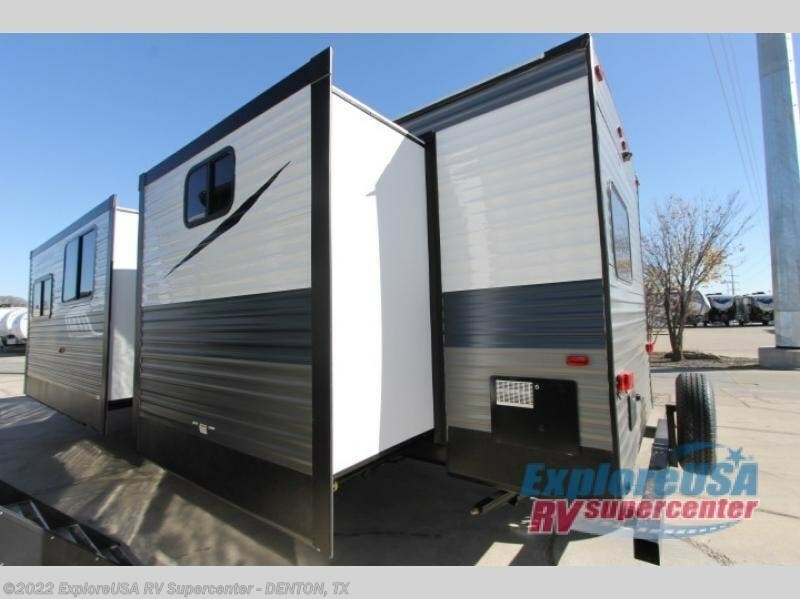 Check out Stock # D2368 - 2019 CrossRoads Longhorn 328SB on crossroadsrvsource.com!